Camp Creek, saving ground throughout under Rafael Hernandez, moved to the lead on the final turn and drew off for a 3 3/4-length victory in the 2 1/4-mile finale of Woodbine’s second annual Turf Endurance Series on Sunday. The Turf Endurance Series, open to starters for $25,000 or less the last two seasons with a $45,000 claiming option, consisted of four legs at increasing distances with points award on a 10-7-5-3-2-1 basis. Artistico, winner of the first and third legs, had already clinched top honours by amassing 20 points heading into Sunday’s $50,000 feature and earned his owners, 4U Thoroughbred Racing Stable, a $25,000 bonus and trainer Sylvain Pion a bonus of $15,000. But while Artistico raced three-wide through much of the trip and faltered to finish sixth, Camp Creek was the horse of the hour while winning for the first time since he upset the 2016 Breeders’ Stakes, the 1 1/2-mile turf race which is the final leg of the Triple Crown for Canadian-bred three-year-olds. Under Hernandez, who was winning his third race of the day, Camp Creek was challenged by Sine Metu turning for home but had far too much left for that rival. Sine Metu was clearly second, finishing 9 1/2 lengths before third-place Itstartswithadrink. Trained by Julie Belhumeur, Sine Metu competed in all four legs of the Turf Endurance Series, just as he did last year, and takes home a moral victory as the second-place finisher in the series with 16 points. Leopard Cat, who was far back early, closed to be fourth, another four lengths back. Completing the order of finish were Twentytwentycrest, the 2-1 favourite Artistico, Strongbox, Seeking the Bay and J M R Silent Sam. Owned by breeder Garland Williamson’s Hillsbrook Farms and trained by Kevin Attard, the five-year-old Camp Creek had raced eight times since the Breeders’ in an interrupted career. 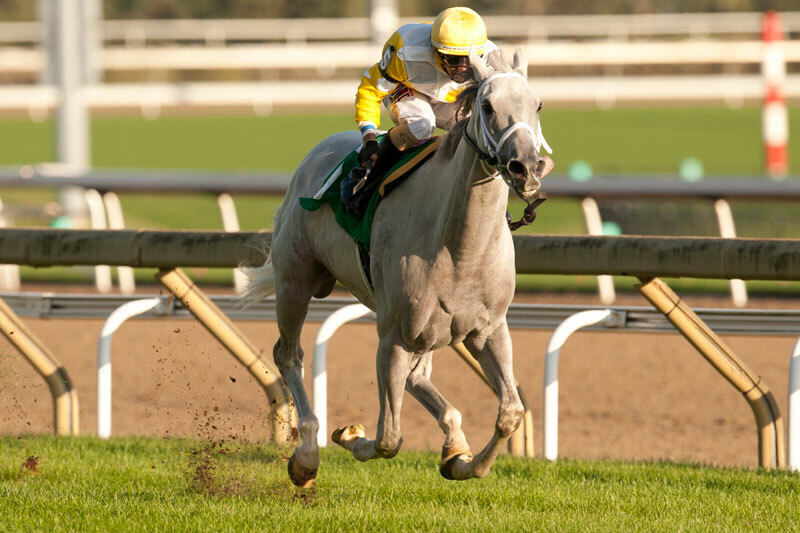 But the grey gelding by Dunkirk had tipped his hand when joining the series for the 1 5/8-mile third leg on September 9, finishing a good third behind Artistico and Royal Intrigue, who had won the second leg but missed Sunday’s ultra-marathon.